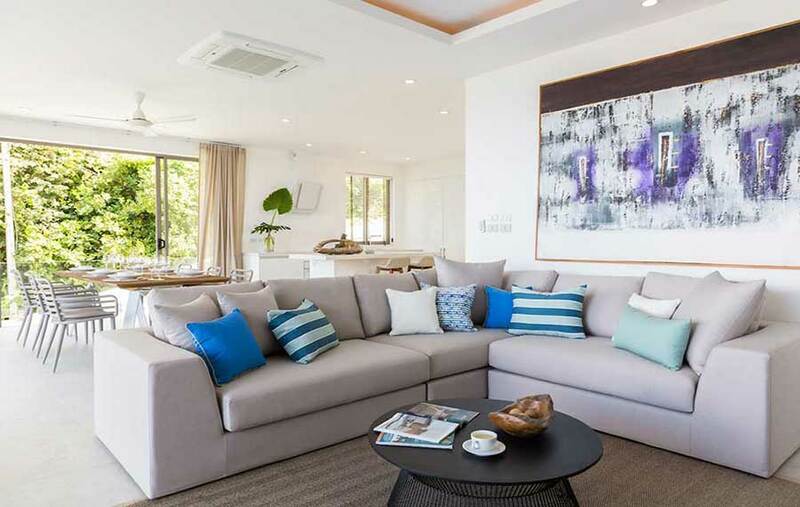 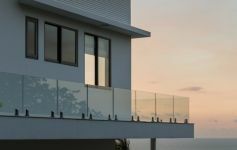 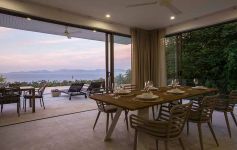 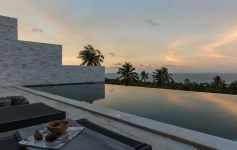 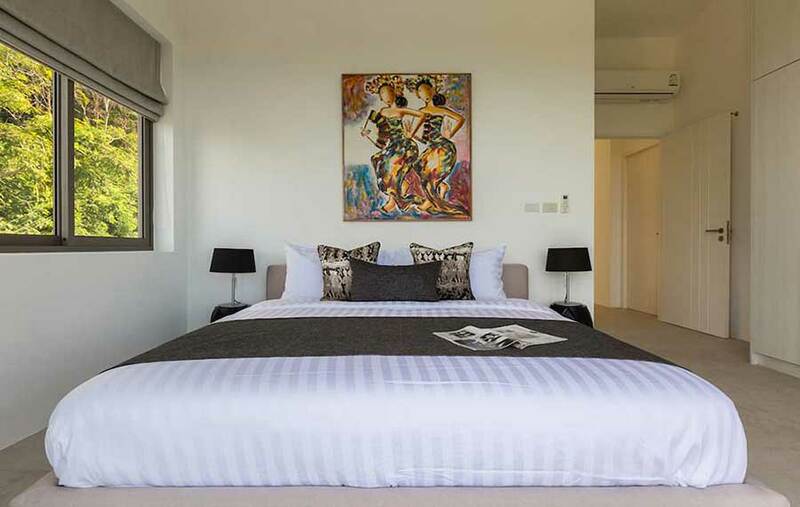 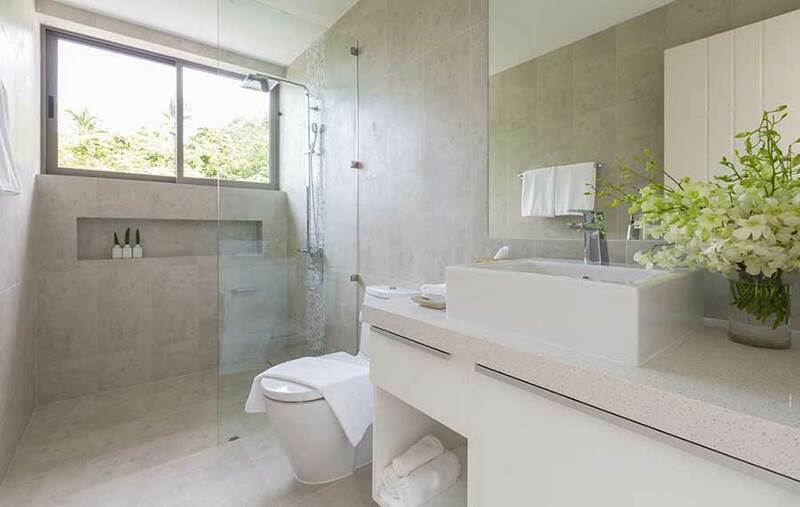 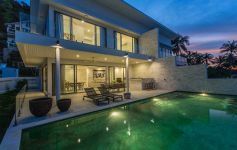 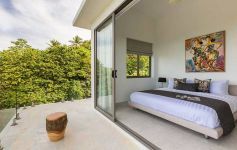 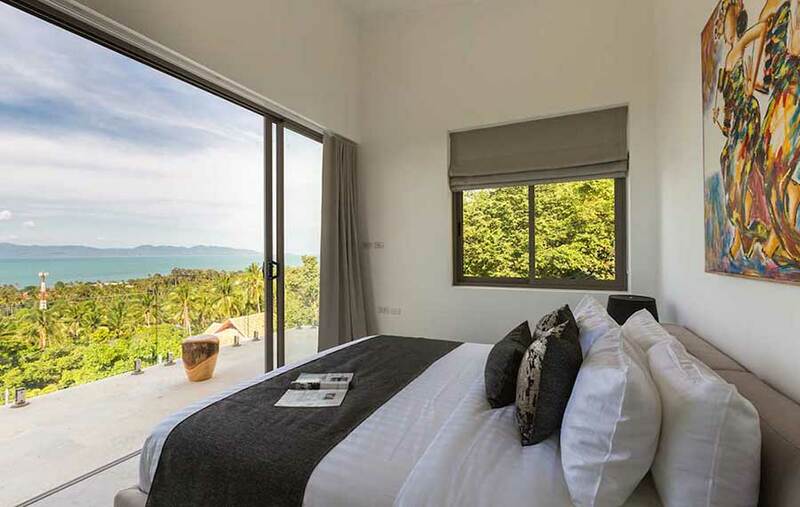 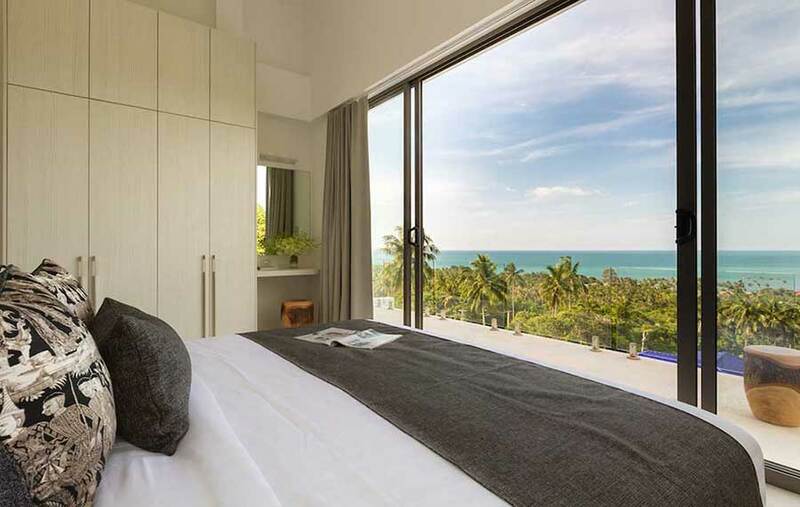 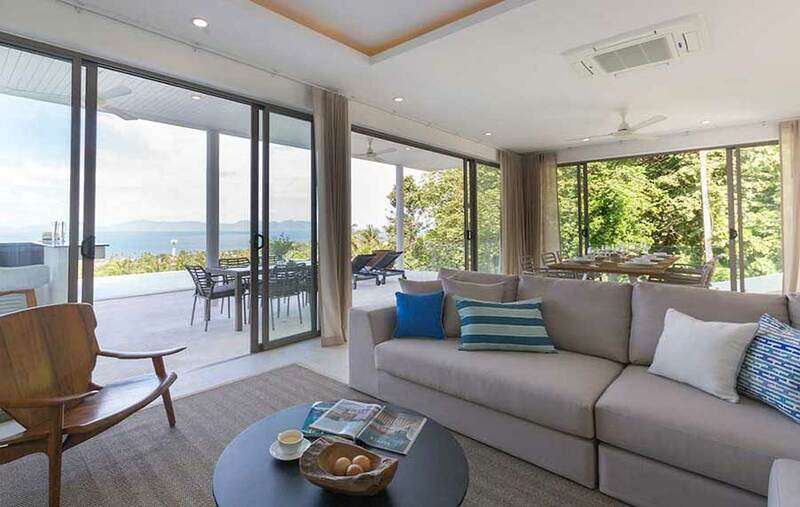 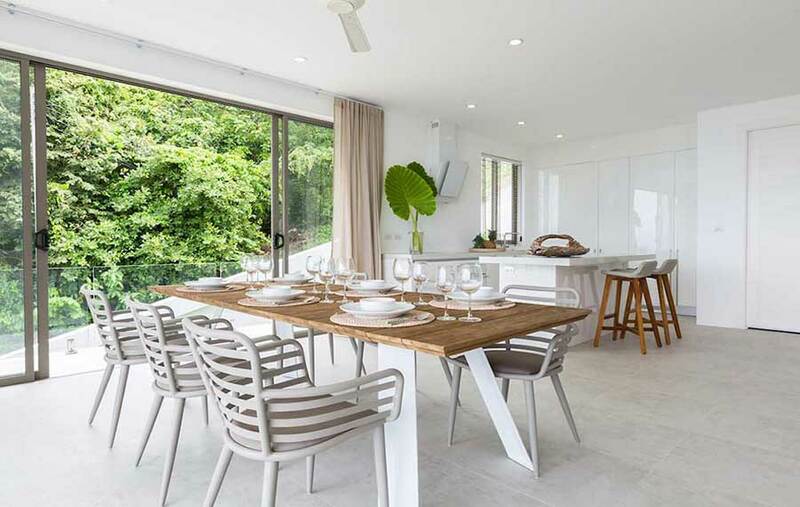 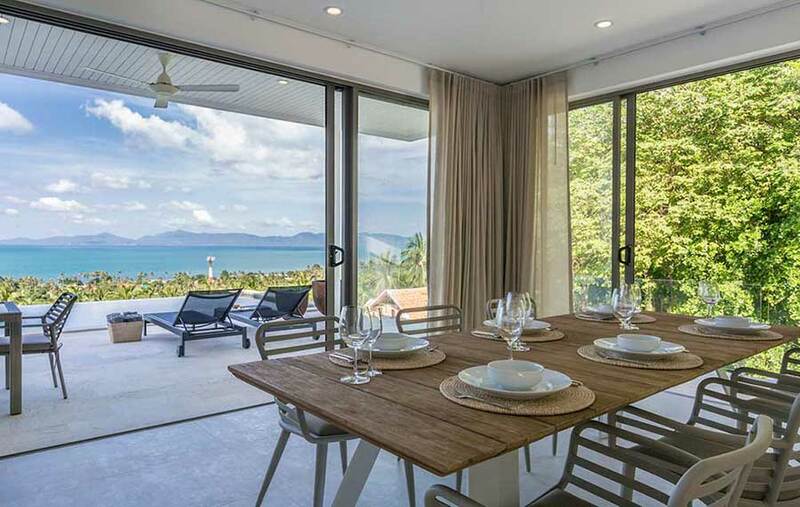 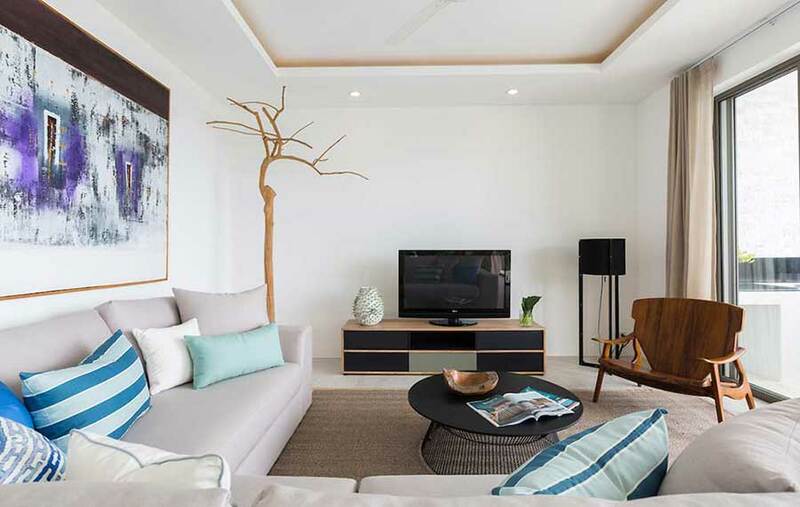 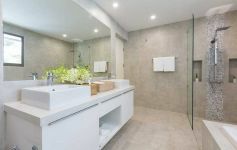 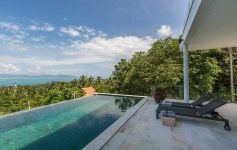 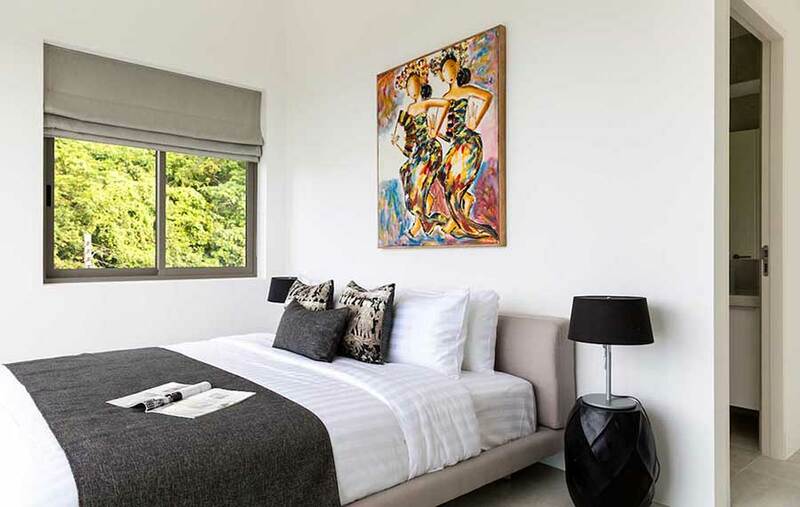 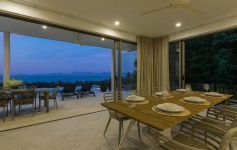 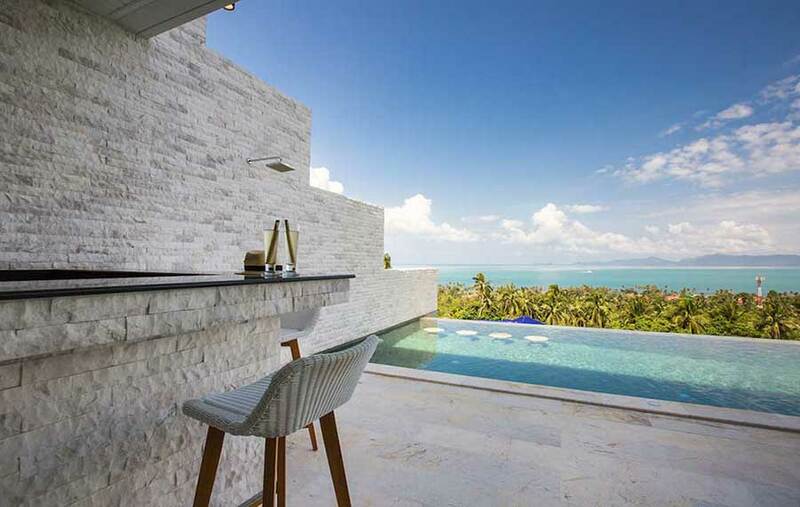 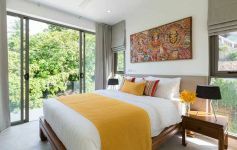 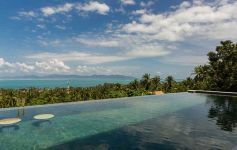 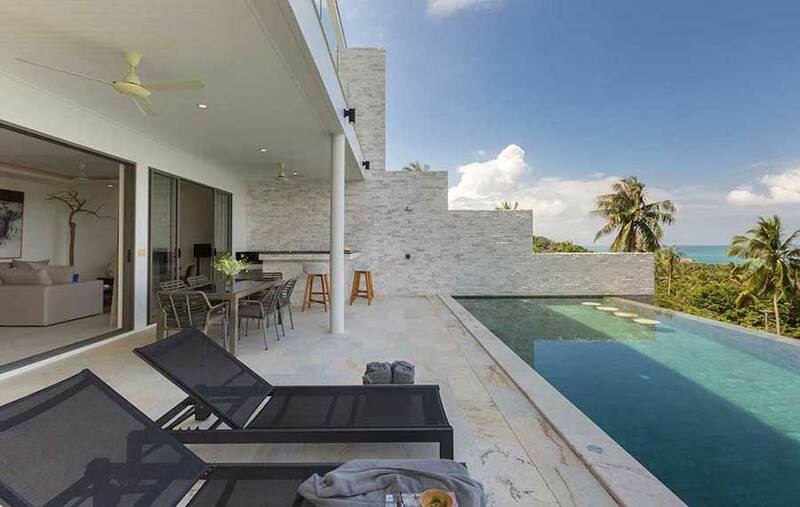 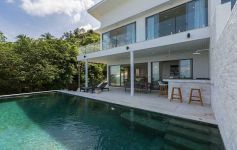 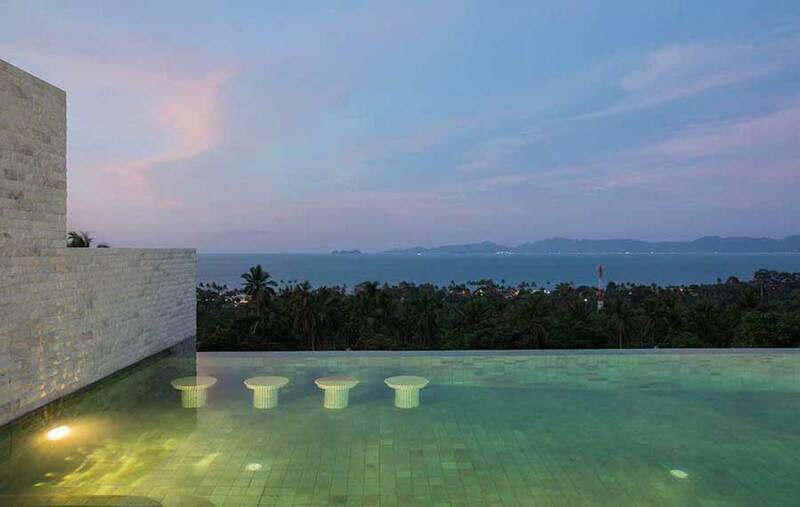 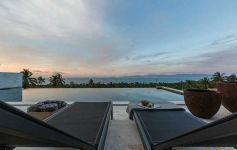 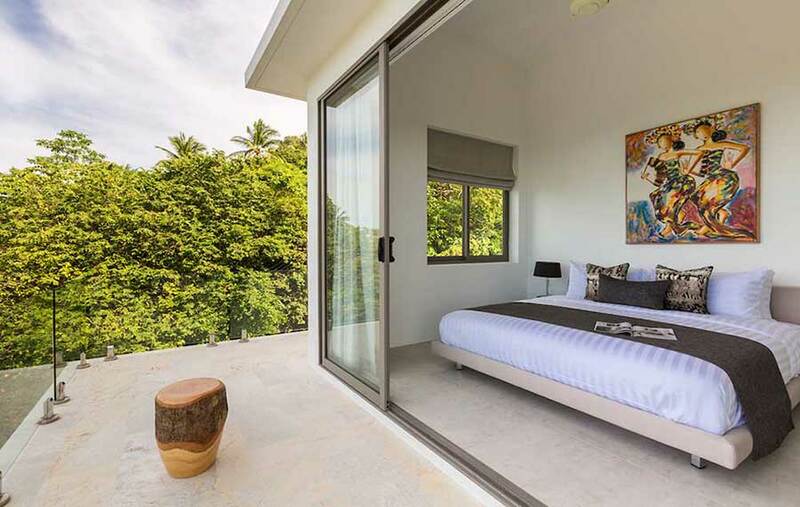 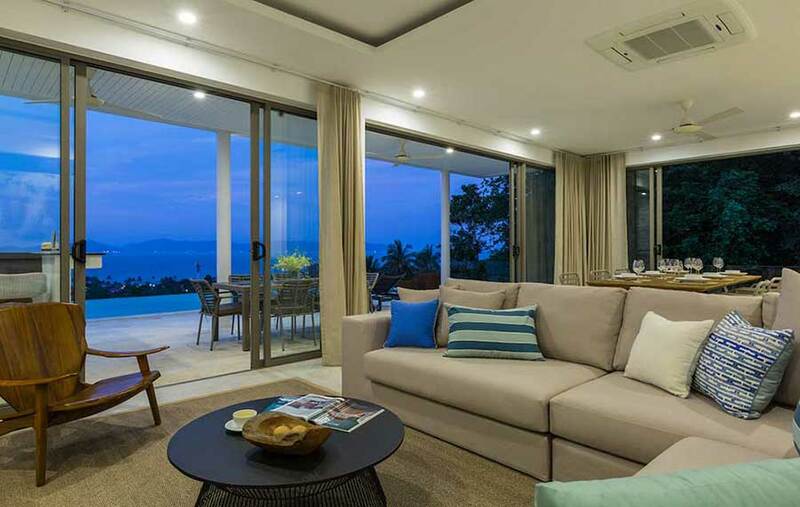 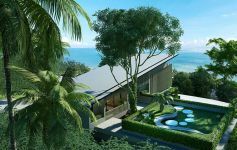 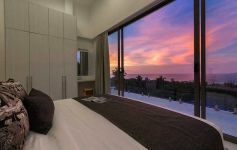 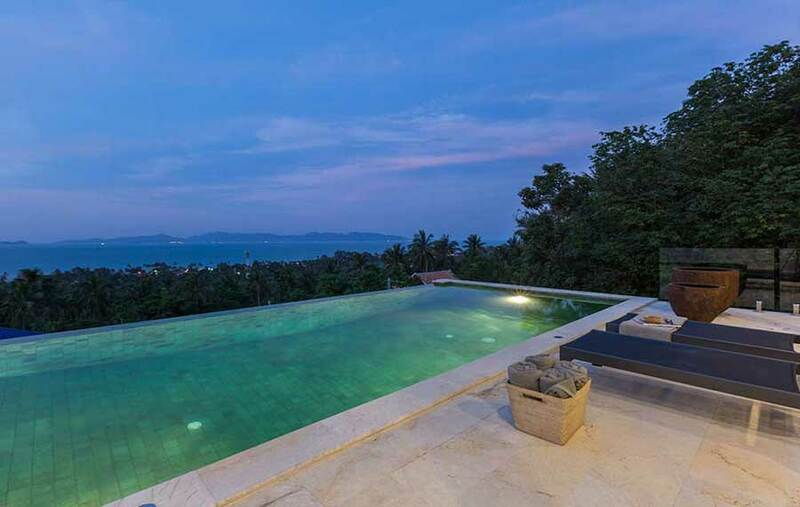 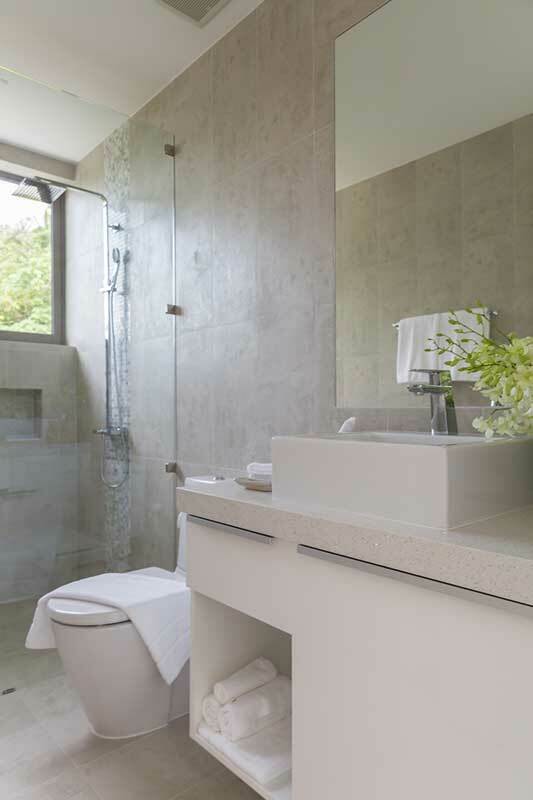 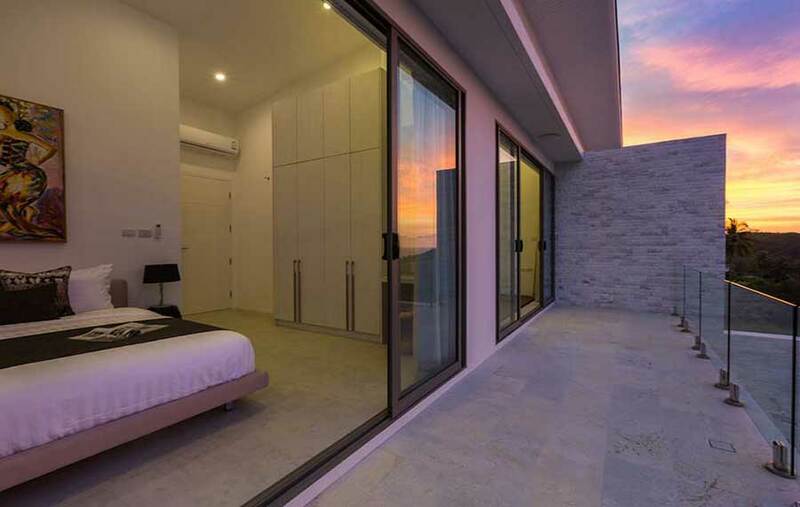 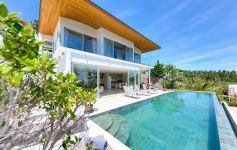 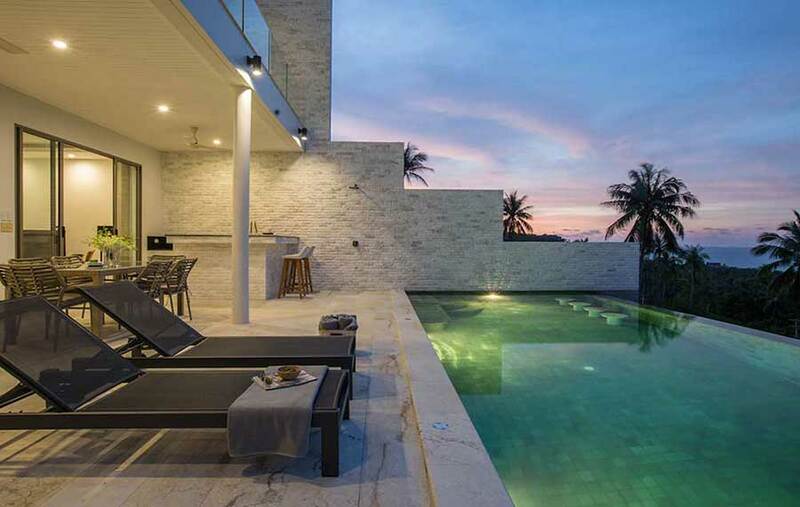 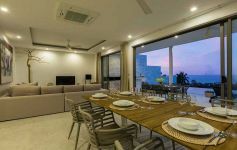 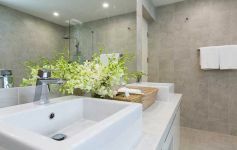 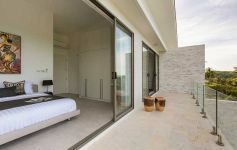 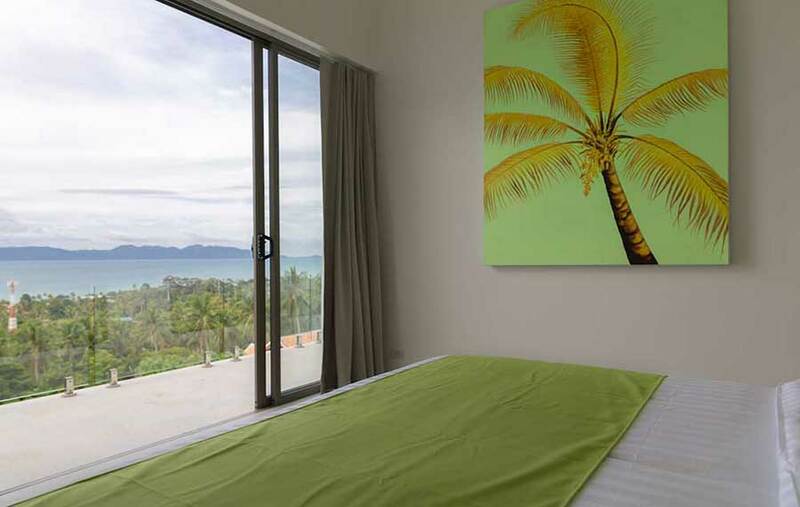 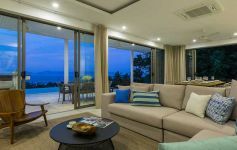 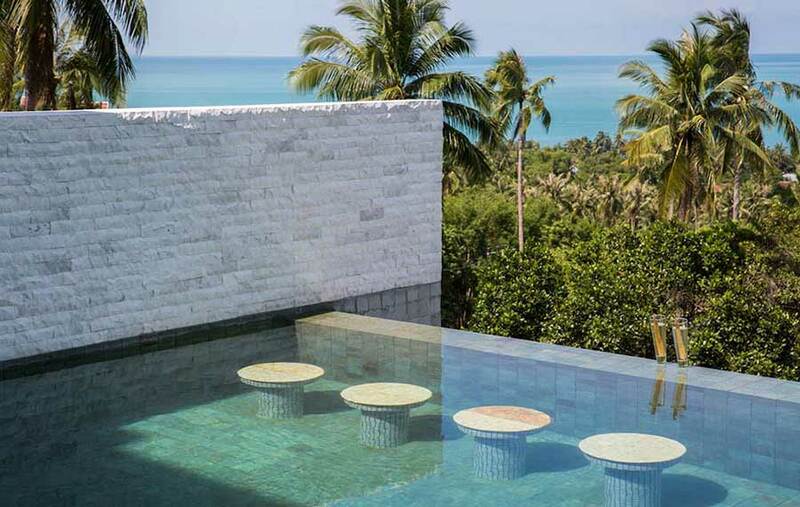 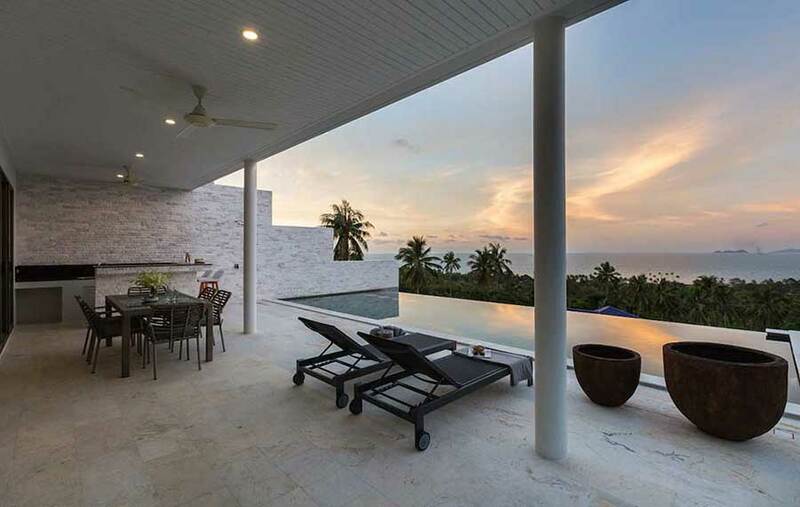 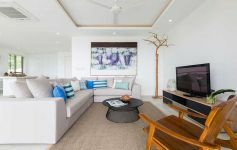 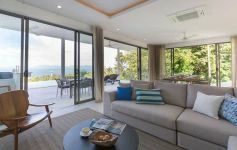 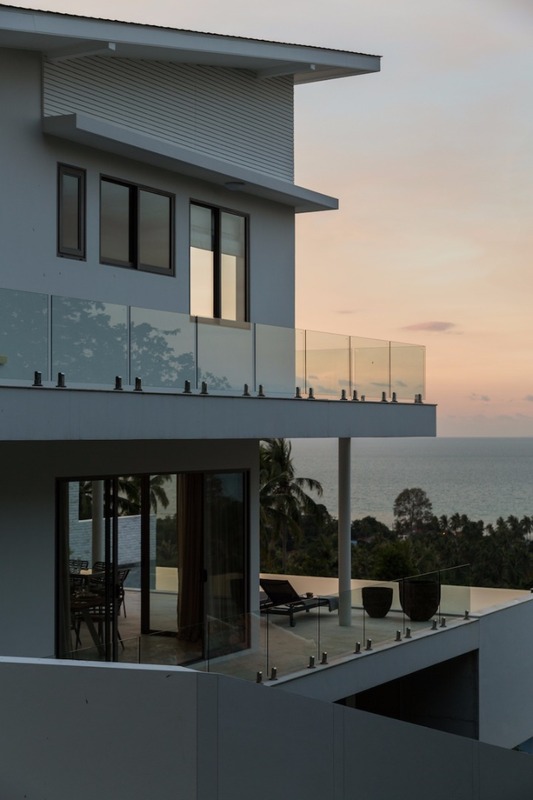 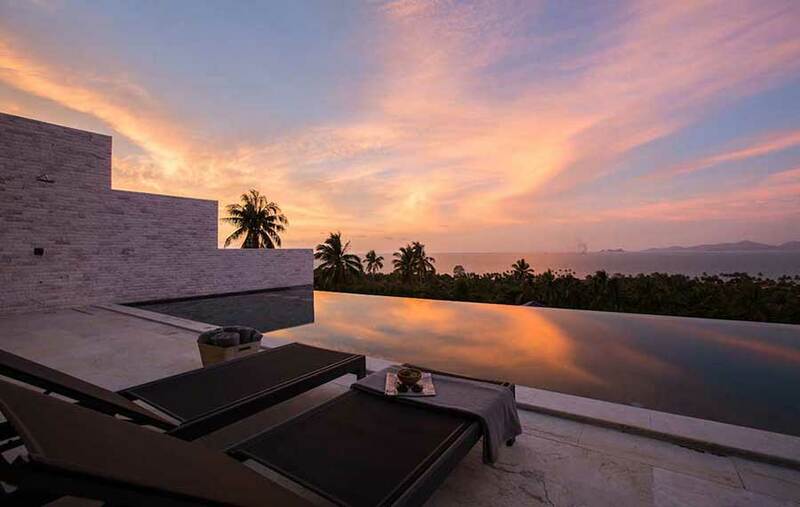 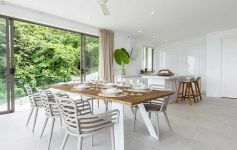 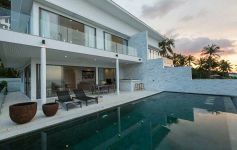 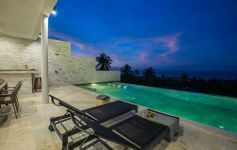 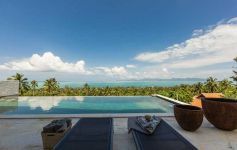 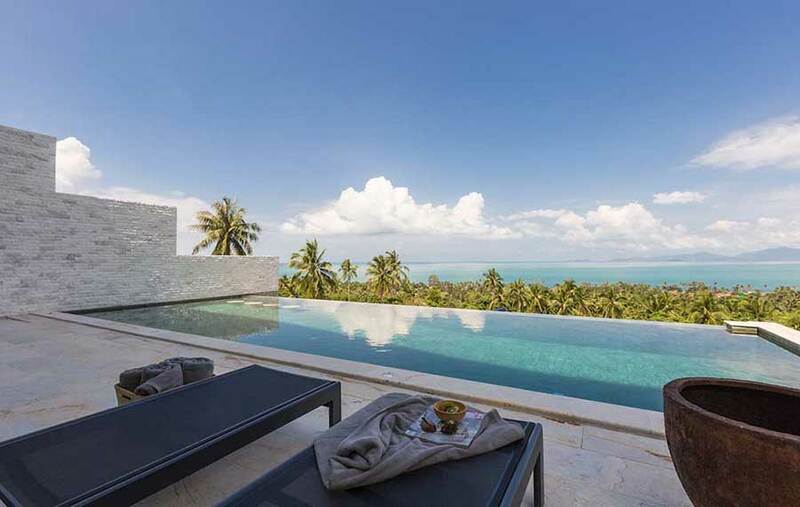 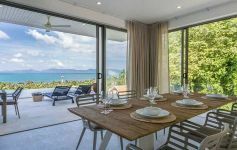 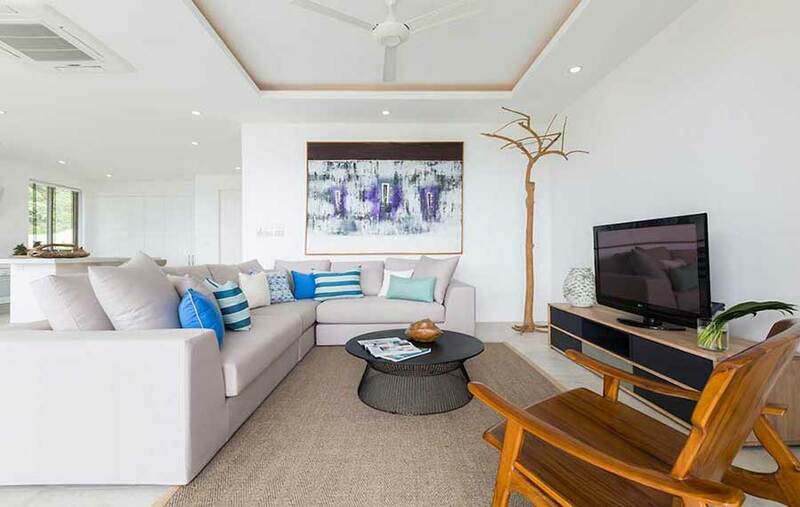 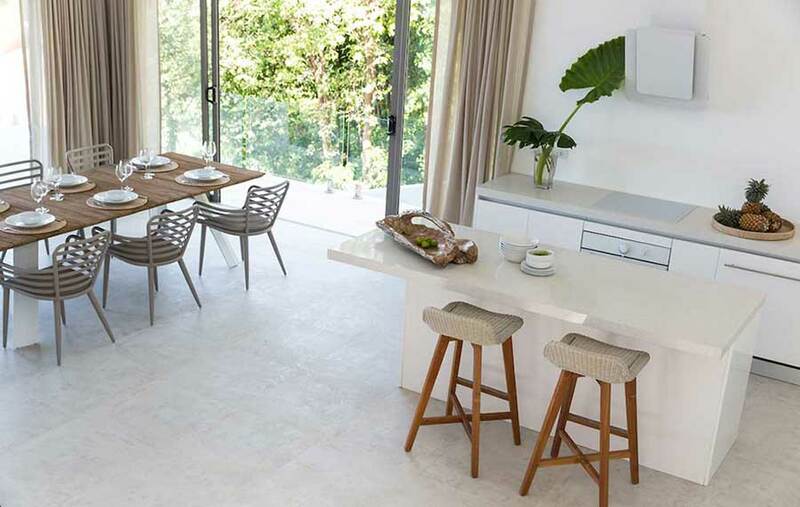 Located on the hillside at Bang Por in the north coast of Samui, these modern ocean view duplex villas offer an impressive 337 sqm of luxury living area. 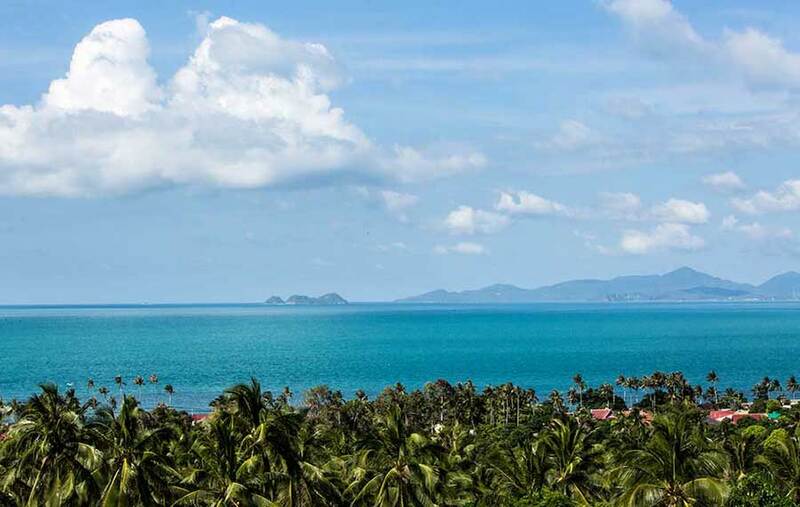 The unspoilt beach of Bang Por and the commercial beach of Maenam are within a few minutes walk. 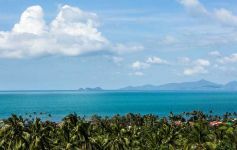 These north coast beaches are part of an up and coming area, and with pristine stretches of golden sand they are ideal for swimming. 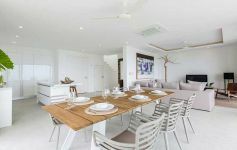 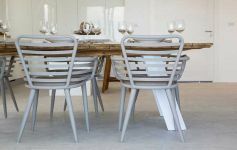 On the lower level is large open plan living area with floor-to-ceiling glass doors opening on to the sun terrace along with a fully fitted high-end western kitchen. 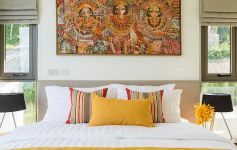 The three deluxe double bedrooms on the first floor all have luxury ensuite bathrooms and wrap-around balconies with extensive sea views. 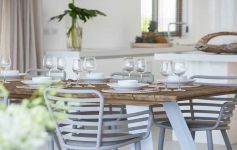 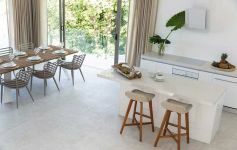 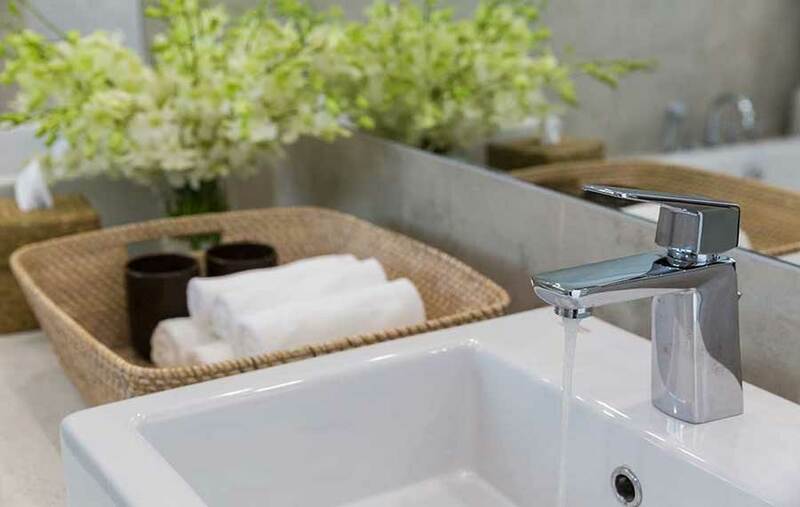 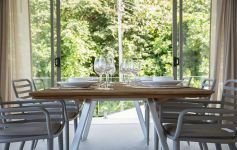 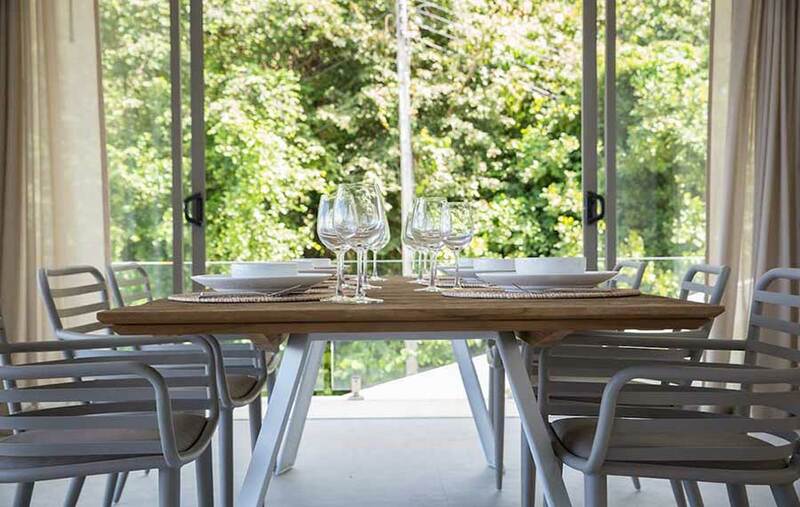 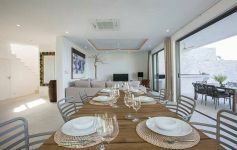 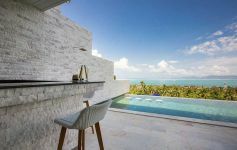 The villas also benefit from a covered outdoor kitchen area, expansive sun terracing, private infinity-edge pool and spacious landscaped gardens. 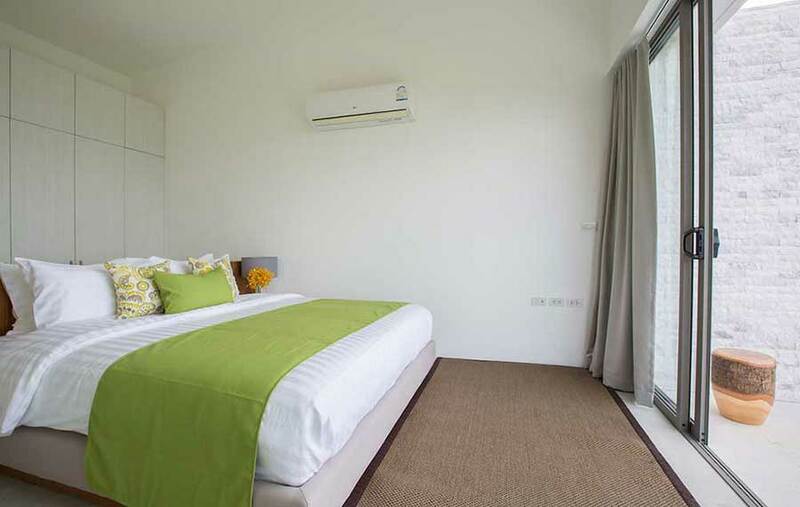 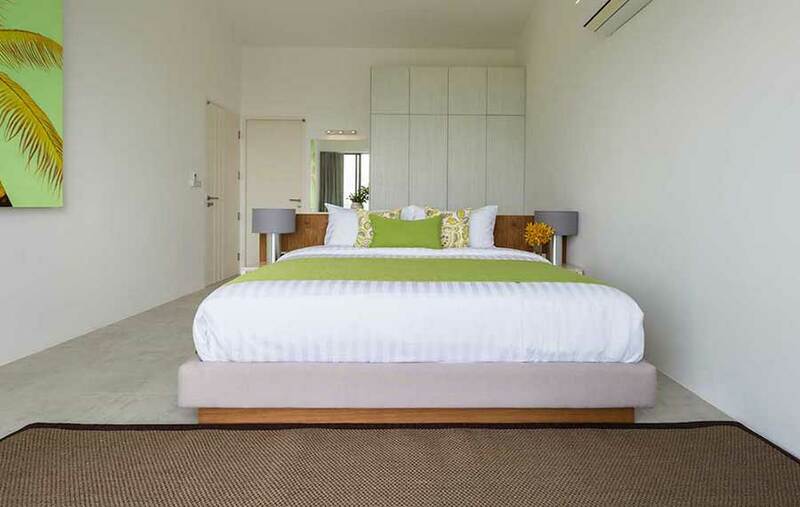 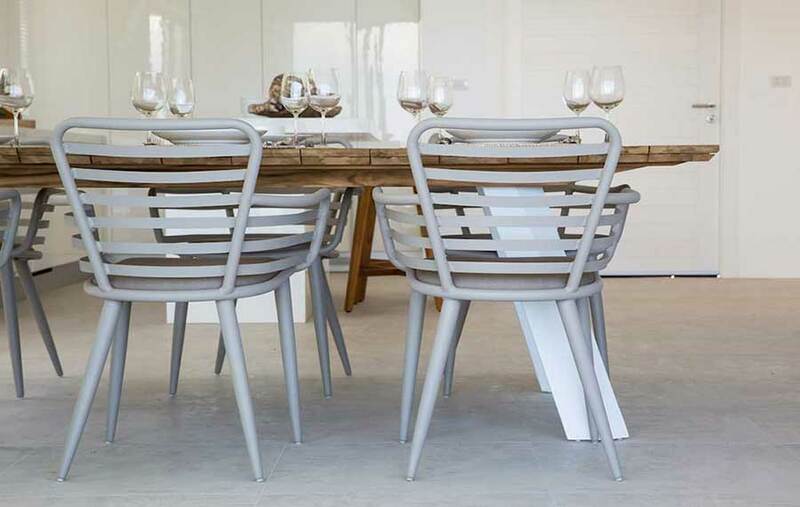 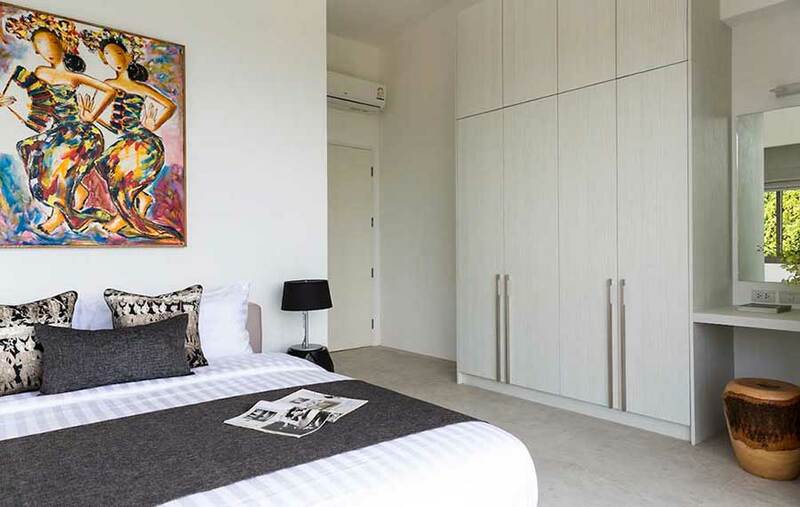 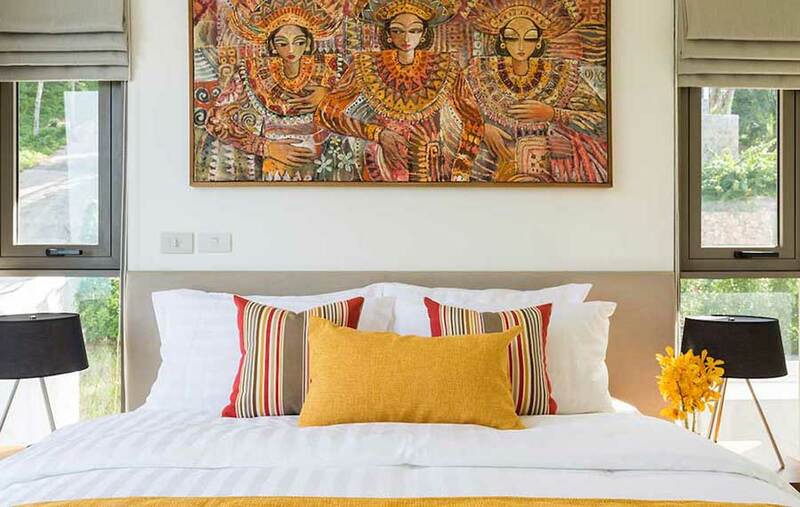 There is also ample space under the villas to add an extra room or self-contained apartment. This is a private collection of just two villas with no management fees to pay. 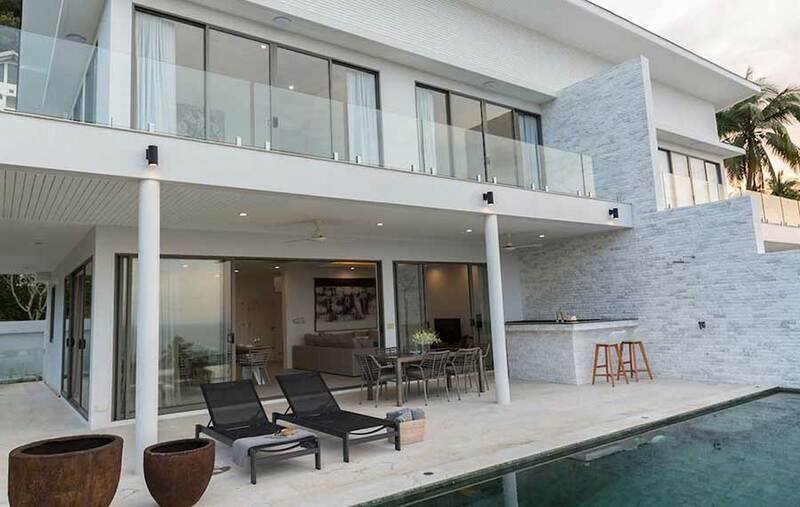 Both villas are fully complete. 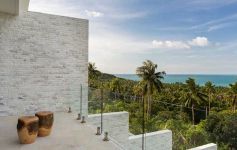 One is still available priced at 19M THB negotiable. Luxury 3-bed sea view pool villa, secure managed estate in Bang Por. 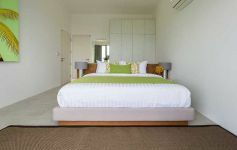 Recently reduced Excellent onsite facilities and services. Recently reduced by 32%. Turnkey investment. Visionary 3-bed sea view villas, west coast. 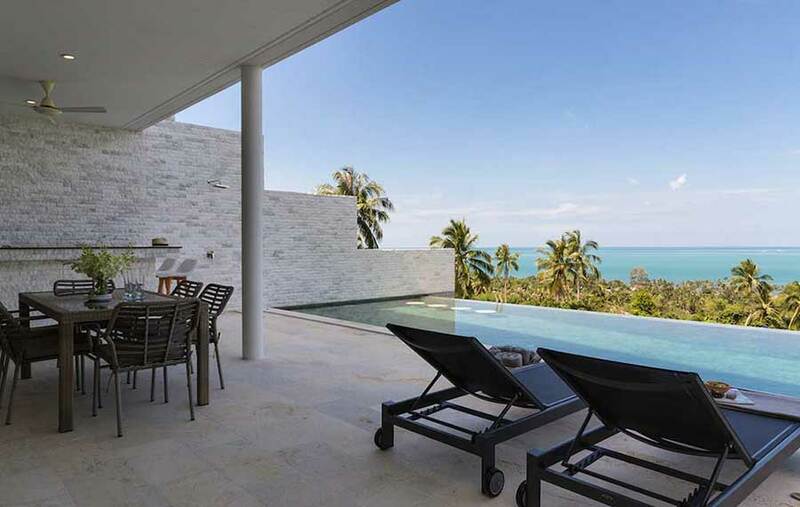 Just a stroll from the beach. 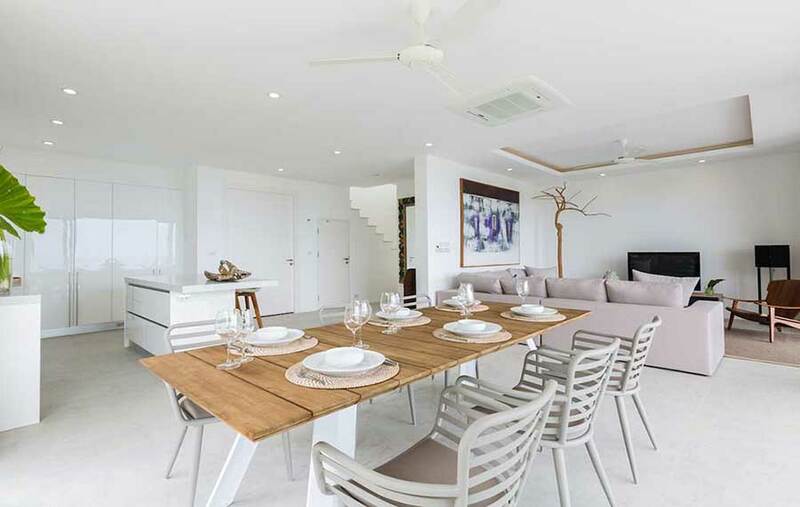 Unique style combines high concept urban loft spaces with classic tropical outdoor living. 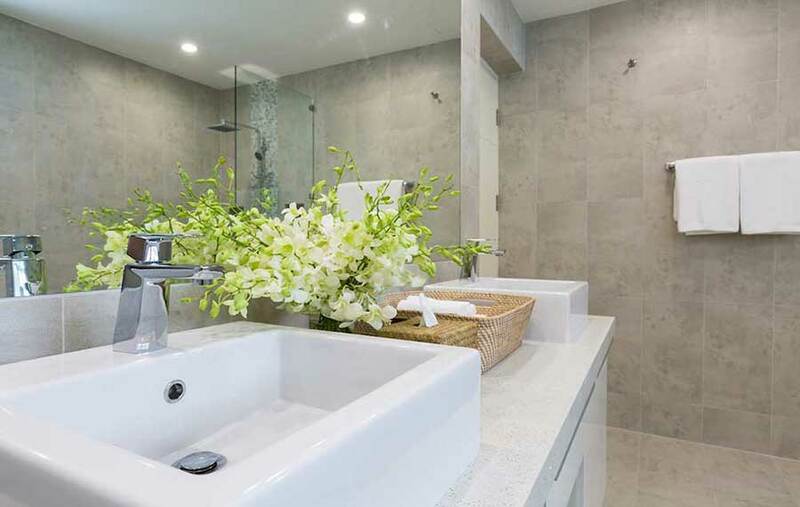 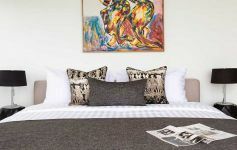 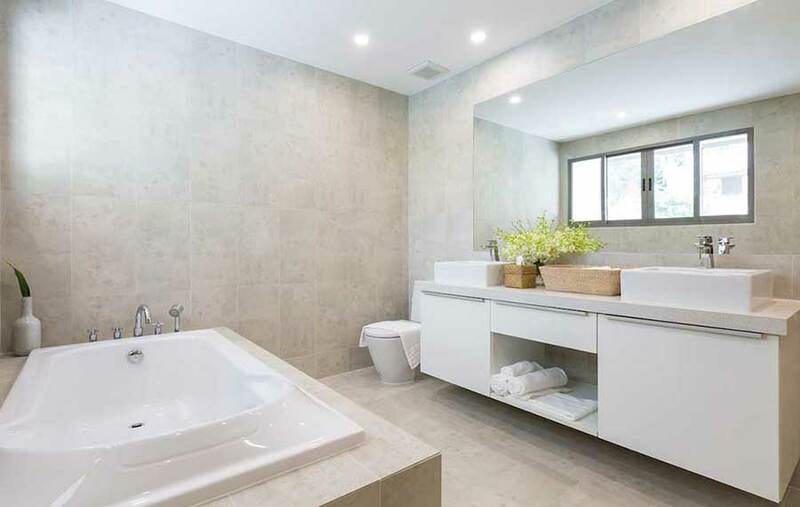 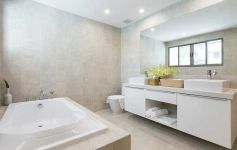 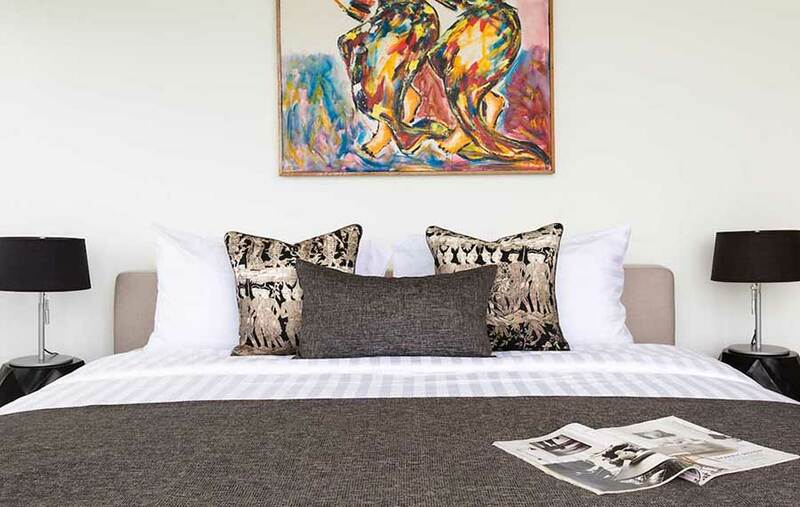 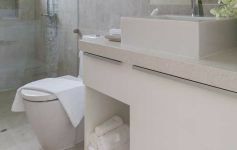 Luxury 2-bed apartment suites with private pools and panoramic ocean views. North-west coast. 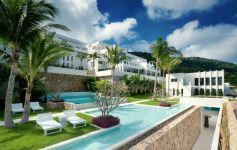 Fully managed resort properties. 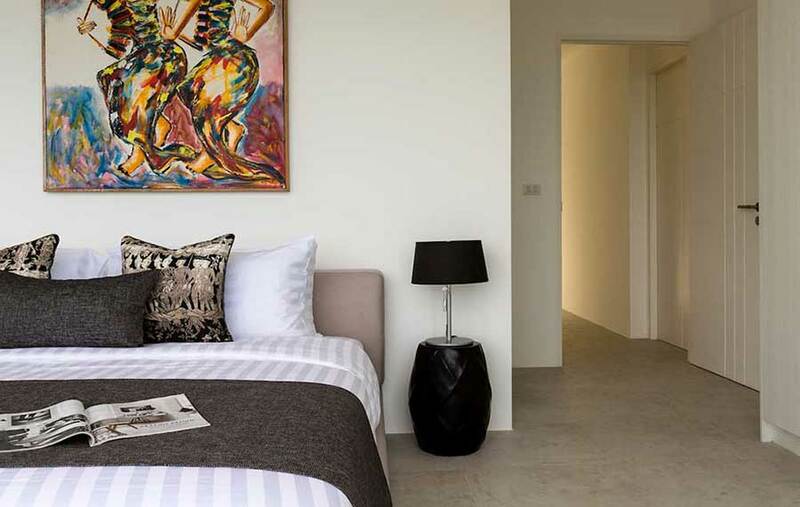 Guaranteed rental returns.